Double KILLER COP Officer Matthew Marin kills again. Typical go no-where loser, bully hired by Police has now killed two people. The public need to look closer at Police and how they protect bad cops who kill. How a Texas Cop Who Killed a Double Amputee Holding a Ballpoint Pen Got Away With It Police misconduct in shootings is “very, very difficult” to prove, an FBI agent says. September 22, 2012, Houston Police Department officer Matthew Marin shot and killed one-armed, one-legged and wheel-chair bound Brian Claunch upon arriving on the scene of a disturbance call at a home for the mentally ill. HPD’s claims that shortly after responding to the call, Marin and his partner found themselves in a verbal incident with Claunch. HPD then claims that Marin (whose daddy is also a cop) felt his partner was “cornered” by the wheel-chair bound Claunch, possessing what was described as a “shiny object”. 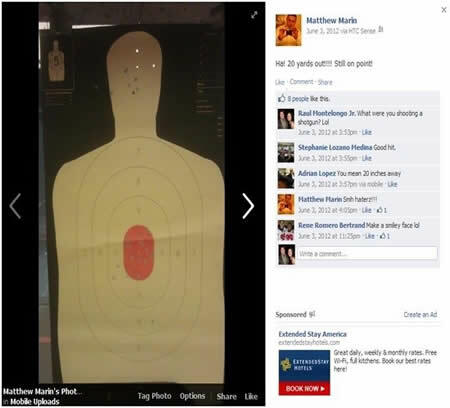 Corrupt Officer Matthew Marin then shot the amputee/schizophrenic patient in the head. The shiny object was in fact a ballpoint pen. Officer Matthew Marin was reported to have received three days administrative leave, as is HPD standard procedure for all shooting incidents involving officers. Once again the police have proved that they place the image of the department above the safety of the people, and that is why thug, coward cop Officer Matthew Marin is recognized as a two time killer cop. A grand jury declined to indict the Houston police officer who in September shot and killed Brian Claunch, a mentally ill, wheelchair-bound double amputee, for refusing to drop a ballpoint pen. HPD Officer Matthew Marin and his partner had responded to a disturbance call at Healing Hands, a small residential group home in central Houston for men with mental illness. Claunch, 45, suffered from schizophrenia and was agitated because he wanted a soda and cigarettes. Police say he yelled threats at the officers and backed Marin’s partner into a corner while waving something shiny, which turned out to be a ballpoint pen. When Claunch wouldn’t drop the shiny object, Marin killed him with one execution style shot to the head. The case sparked international outrage. Why didn’t Officer Matthew Marin use a Taser? HPD has a nationally-recognized crisis intervention team for handling suspects with mental illness, why wasn’t it there? 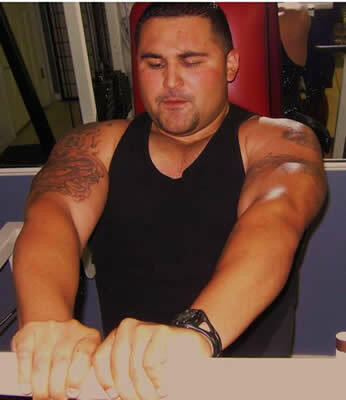 How did officer Matthew Marin’s partner get cornered by a man with only one arm to propel his wheelchair? Most important, if Claunch’s death isn’t considered an unjustified use of lethal force by HPD officers, what is? Statistically, nothing.